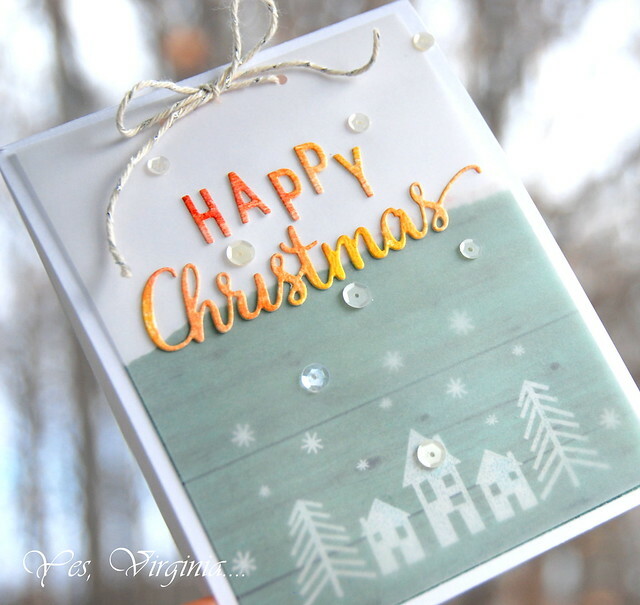 I am popping in to share a CAS card with vellum. 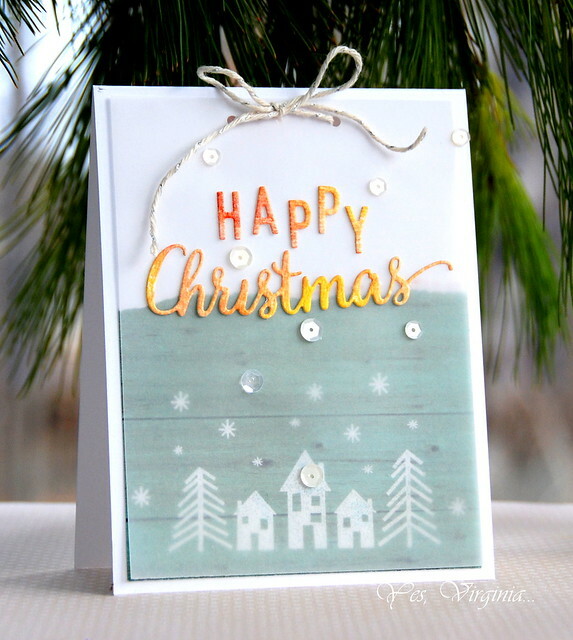 When it comes to wintery card, vellum seems to be another great source to create frosty look with minimum effort. I did some embossing with this stamp set "Winter Wishes" on a piece of pattern paper. After I did that, I didn't know what to do with the rest...So, I decided to top it off with a piece of vellum. And see colorful diecut sentiment? I sprayed Heidi Swapp's Color Shine on watercolor paper and then I made the colorful die cut. 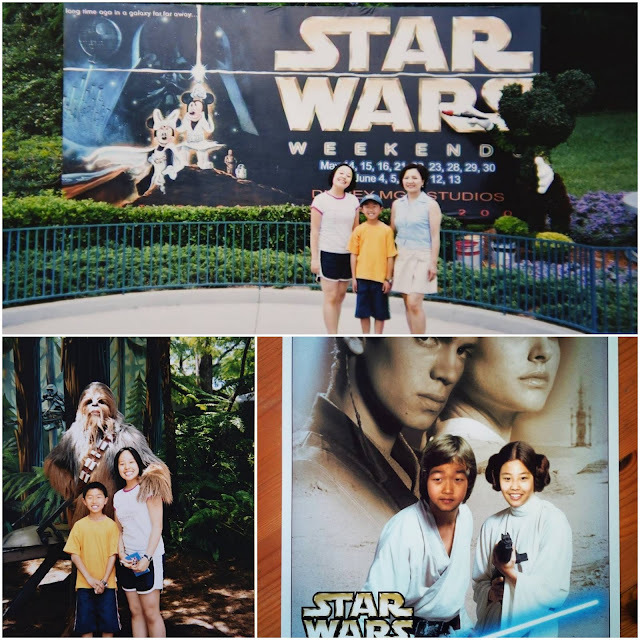 Here is a total random note... some "Star War" photos--->a blast from the past. The pics really made me smile. Gorgeous card, Virginia! I love the softness of the vellum panel and your sparkly sentiment is the perfect touch! It's so much fun to see pics of your kids when they were younger...looks like you all had a blast at Disney! Love this card Virginia, there's a homey peacefulness to it! Well you did choose the perfect thing to do with your background. Looks like a village on a cold, foggy, snowy day...topping it off with that bright sentiment reminds me of sunshine. Beautiful. Virginia, I am delighted with your card. The vellum adds "mystery" and softens the image beautifully. Love the photos, enjoy Star Wars--who won't?--!!!! This is one awesome card - LOVE, LOVE, LOVE it! The colorful sentiment over that muted background - genius! Beautiful! I love the houses on that patterned paper with the softness of the vellum and then you amp it up with the colorful sentiment!